Do you want to be an online customer? Register here in three simple steps to use all functions of the shop. Data is transferred immediately via the intelligent shelf on which the empty bin bearing the RFID tag is positioned. Multiple racks can be operated by a shelf rack structure. Without any power connection at all. Using the intelligent pallet box, data for your C-Parts is transferred immediately via RFID to a separate storage position as soon as an empty bin is placed there. The iBOX®flex is the first pallet box on the market that can operate two Kanban systems in production simultaneously. It is suitable for both two-bin Kanban systems and pallet Kanban systems. This is made possible by the unique design of iBOX®flex. This includes, firstly, an extending drawer for all empty bins, which means ease of handling for the foreman, logistics specialist or fitter in production. Secondly, the iBOX®flex contains a separate compartment on the side for RFID tags from the pallet Kanban. With iPUSH®, ordering is triggered by pressing the button integrated into the RFID label on the bin. Data is transferred immediately via the dropbox as soon as a RFID tag from the empty bin or a pallet card is positioned nearby the dropbox. The light indicates a successful RFID reading. Your C-Parts are ordered automatically via the iTAGBOX® (Kanban RFID). The iGATE enables the simultaneous data transfer of a multitude of bins. The iGATE is also the right solution for checking incoming and outgoing goods. In the iTURN® and iROTATE® are systems, turning the bin triggers the data transfer via RFID and thus repeat ordering of the item. Only the construction of the rack distinguishes these two standard modules. Automatic data transfer is triggered by iWEIGHT® if the weight of a bin falls below the predefined minimum level and is triggered by iSKID® if the level drops below the minimum for a pallet. Data is transferred immediately via the intelligent shelf on which the empty bin bearing the RFID tag is positioned. Multiple racks can be operated by a shelf rack structure, without any power connection at all. The iBOX®flex is the first pallet box on the market that can operate two Kanban systems in production simultaneously. It is suitable for both two-bin Kanban systems and pallet Kanban systems. This is made possible by the unique design of iBOX®flex. This includes, firstly, an extending drawer for all empty bins, which means ease of handling for the foreman, logistics specialist or fitter in production. Secondly, the iBOX®flex contains a separate compartment on the side for RFID tags from the pallet Kanban. With iPush, ordering is triggered by pressing the button integrated into the RFID label on the bin. However, in the iTurn and iRotate systems, turning the bin triggers the data transfer via RFID and thus repeat ordering of the item. Only the construction of the rack distinguishes these two standard modules. Automatic data transfer is triggered by iWeight if the weight of a bin falls below the predefined minimum level and is triggered by iSkid if the level drops below the minimum for a pallet. Websites can save or retrieve information in your browser in the form of Cookies. This may be anonymous statistical data, information about you, your settings or devices used, in order to enable a personalised web experience or so that the website works in the way you are expecting it to. We respect your right to protection of your data. You can therefore decide not to accept certain types of Cookies. For an overview and the settings for the Cookies which we use, please see here. You can change these settings at any time, by invoking our Data protection declaration. By saving, you confirm that you have understood the settings specified for Cookies and that you agree with them. The Würth Industrie Service GmbH & Co. KG collects and processes the personal data provided in the form in order to process the requested request for you. Please note the mandatory fields in the forms. The legal basis for this processing, the absolutely necessary data, is Art. 6 para. 1 lit. b DSGVO, implementation of a pre-contractual measure. The processing of data voluntarily provided by you is carried out on the basis of Art. 6 para. 1 lit. f DSGVO. Thereafter, processing is permissible which is necessary to safeguard our legitimate interests. Our legitimate interest is to have contact with you, our customers, to improve our consulting quality and to be able to contact you more easily in case of possible queries. The data collected will only be stored by us for as long as is necessary to process your enquiry and to contact you. They are then deleted. Supplementary data protection information, in particular regarding your rights to information, correction, deletion, restriction of processing, objection and complaint, can be found in our data protection declaration. Where can I find my customer number? 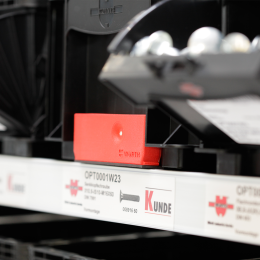 You can find your customer number on a Würth invoice, a delivery note or an order confirmation (in the top right-hand corner of the first page). If you aren't a Würth customer yet, then you can register online here; the process only has a few steps. Once we have checked and approved the information you enter, you can access all prices and place orders immediately. Click on "Register Now" to get started. To log in with your mobile phone number please enter your mobile phone number, verified during the registration process. If you didn’t verify your mobile phone number yet please use the Partner Number login and verify your mobile phone number after login in ‘My Account’ Settings. You are not yet a Würth customer? You can register online in a few simple steps. Once you have successfully registered, you will have access to all prices and can then place an order. Click on "Register now"
Where do i find my partner number? You will receive your partner number together with your login details once you have successfully registered on the Würth Online Shop via an email to the email address you specified on the registration form. Alternatively you can contact your sales representative. Which password do I have to enter? The password for the Würth Online Shop is either the password you entered during the initial registration, or the password given to you by your company. The password must be at least 8 characters long and be composed of numbers and letters, with at least 4 different characters. The use of special characters is not permitted. The following terms are also not allowed as a password: your customer number, "wuerth1", "abcdefg".